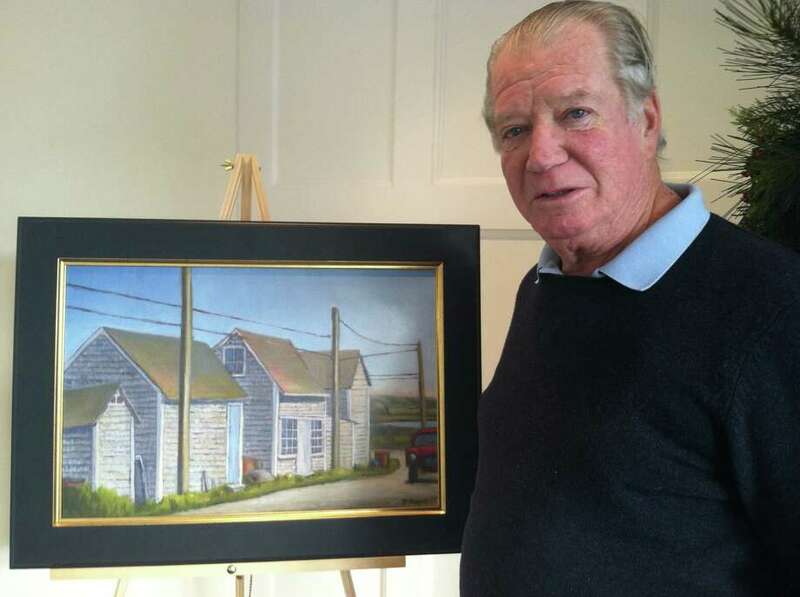 The paintings of Tom Ranges, including "Menemsha Fishing Shacks," will be on display at the Darien branch of the Darien Rowayton Bank through January. The artwork of Norwalk resident Tom Ranges will be on display at Darien Rowayton Bank, 1001 Post Road, Darien, through January. The bank will be hosting a reception from 9 a.m. to noon on Saturday, Jan. 12. Ranges attended the Art Students League in New York, has traveled to Vermont and Maine in the summers to study landscape painting, taught the art appreciation Learning to Look class at Rowayton Elementary School and to budding artists in the Be Creative program at the Rowayton Library. He spends his summers on Martha's Vineyard, and focuses on landscapes, seascapes and marine portraiture. He has exhibited his work nearly every fall since 2004 at the Rowayton Yacht Club. His paintings have been selected for exhibit in the "Art to the Avenue" in Greenwich and have been on display at galleries and stores throughout Fairfield County.